Following design trends is crucial, but designers shouldn’t use them blindly. Not every trend is useful, helpful or appropriate for every case. Even good trends can turn bad, damaging the user experience. That’s why we have to use them mindfully, filtering them and adjusting them when needed. Let's have a look at three latest dangerous design trends and ways to use them wisely. Colours can convey emotions and be used strategically in brand and UI design. Bright colours tend to grab our attention and generate more positive emotions than dark or neutral colours. Bright, popping colours are always fun, energetic and bold while pastel ones are more relaxing and discrete. Large bright coloured surfaces or many adjacent bright colours can hurt our eyes. Bright colours, behind or even near text copy, can make reading unpleasant, annoying, or impossible. Resulting in negative experience, eyes that hurt will close or leave, while you want them to stay. In the race for attention, designers refuse to limit their imagination, rebelling against harmony, bringing directed chaos back to the designing table with unique, unbalanced, and atypical compositions. Experimental layouts are not perfectly balanced; the photography, typography or interface are usually not aligned, elements have different paddings and often tend to overlap. It’s a nice way to add some variety and help art or fashion designs stand out in a sea of tidy layouts. Our daily lives are chaotic enough. Do we need more of that, while trying to find information online? The unbalanced playfulness in a layout can easily interfere with the scannability and discoverability of information in a website, making browsing an overwhelming experience. When the main objective is getting information from a content heavy page, then layout structure is necessary. Visual hierarchy is also very important guiding users through the content. In experimental layouts, elements often float away from each other, splitting the content in weird and sometimes random, non-hierarchical ways. Other elements might overlap or end-up in less visible areas of the page, making it particularly hard to read, group and process information. Do not use experimental layouts in content heavy pages. Minimalism was popular for a long time and still is. Yet, we are currently witnessing a shift to more detailed layouts. There’s a reason for that; minimal designs cannot offer as many opportunities to delight and differentiate, as more detailed and complex compositions. Focusing on little details is very important these days. Space with little details can drive the eye, from minor ones like navigation dots to floating elements which serve no function. Flying decorative icons, underscores, geometric figures and fragments are getting more and more popular, as they can add an interesting note to any design. They can act as balancers, separators, or pointers to content, like little useful comments. Little details can be useful for drawing attention and delighting the users, but they can accidentally compete with the actual, navigation and content. Too many details can get overwhelming messing with the hierarchy, confusing, rather than helping the users navigate or scan content. Little details that serve no purpose are digital noises and glitches. Little details are often used as a decorative element, next to imagery or typography, sometimes overlapping with them. Sometimes they follow scrolling or the mouse cursor. As a result, they gain our attention, which can be both good and bad. We need to be aware of this function and place them accordingly without jeopardising readability. Use little details with awareness of the content, making sure that readability is not affected. Use little details as pointers to guide attention to or separate the main content. Balance little details with a minimal and clean layout. Try adding context to the details making them relevant to the content. Do not use little details in content heavy pages. Avoid random details that serve no purpose, or cannot help you communicate your story. Try to distinguish the functionless details from the main user navigation. Treat little details as little delights and not as the main component of your design. Smaller typography looks and feels classier. It leaves space for other elements to breathe and allows the eye to move around. Using smaller typefaces gives the opportunity to create interesting contrasts without battling for space. On the other hand, tiny typography can get lost in large blocks of text or can hamper content scanning and readability. Use small typography with caution — only in short paragraphs. Also, avoid using less than 13pt size typography. 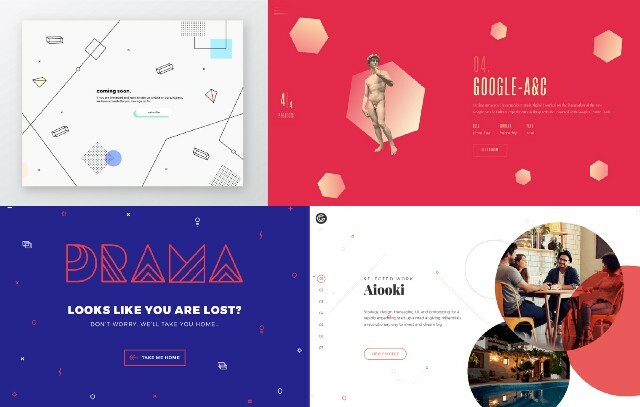 Experimental navigation patterns are getting more popular, as more designers try to innovate. Different navigation styles can make small, low content websites more interesting or they can help users navigate in a specific way. Experimental navigation patterns can be delightful and useful if they are intuitive enough, for users to interact with them. We have to be aware that they are not suitable for every design or every audience and it’s vital that we test their usability. Animations bring endless possibilities in UI design. They can get very creative transforming and enhancing experiences. Animation can add an extra layer in any design, drawing attention to the right places. 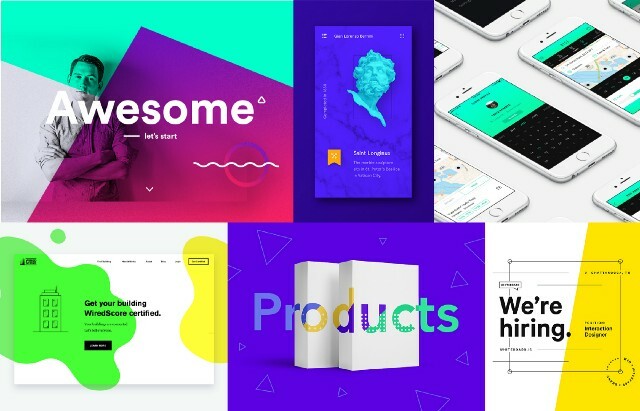 Animations enrich minimal layouts, enhancing story telling and user interactions. Overuse of animation can result in heavy websites and increased loading times that test users’ patience. Wrong or unnecessary animations can also confuse, disrupt, or mislead users, so use them wisely. 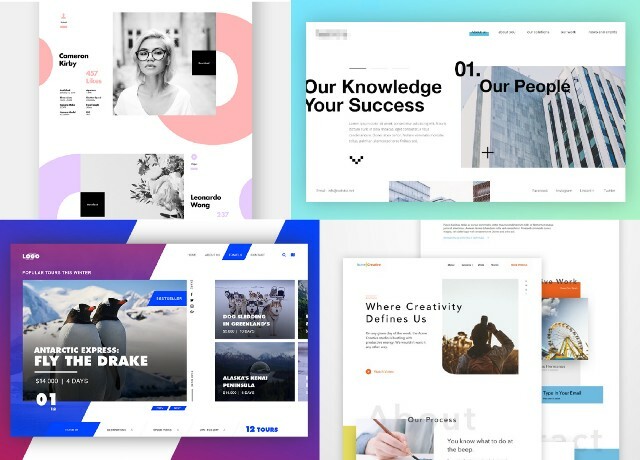 In a sea of websites and products, designers try to keep their designs fresh and relevant by following design trends. But trends can be dangerous and shouldn’t be a panacea. It is important that we use them mindfully depending on the content, audience and goals that we are trying to achieve. Lastly and most importantly, we shouldn’t sacrifice user experience for the sake of looking good and contemporary. We shouldn’t sacrifice user experience for the sake of looking good and contemporary. This article is originally from Medium Muzli by Eleana Gkogka.